Every year the OED nominates a word-of-the-year. 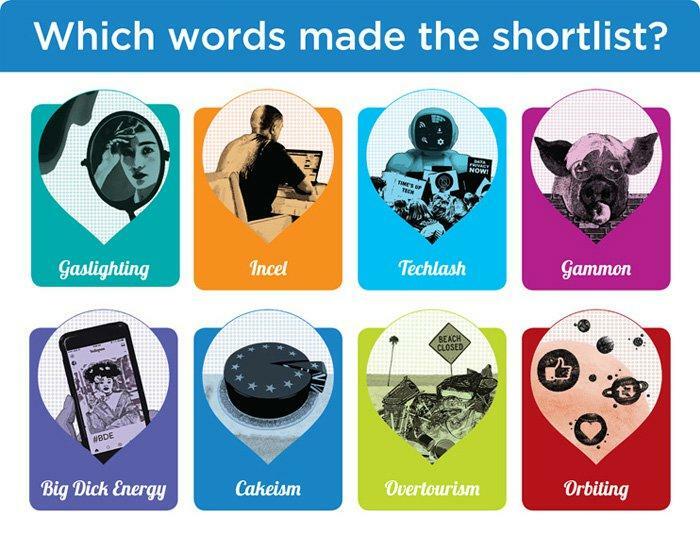 Disappointingly this year it was “toxic”- the shortlist was worse. So I’m discarding these and choosing my own. “Cocktail”. Because it sounds fun, variegated and intoxicating. And mixologists are becoming as famous as football stars. We decided to have a “cocktail of events” on Friday in London. Yes, I know, but no one told us it was Black Friday. We passed through John Lewis, parts of which look absolutely fabulous - women’s clothes and the Christmas floor – wonderfully ho, ho, ho and slightly silly. How many new brands of gin and gin cocktails concocted into Christmas presents can there be? You should see the array on offer and countless flavours like raspberry, quince and ginger. Really useful presents like £30 collections of miniatures of port or liqueurs. Meanwhile they have an ice rink on the roof selling exotic cocktails and hot gin. Hot gin? Yes, hot gin and tonic! And next the National Gallery where various exhibitions are on offer. Mantegna and Bellini intrigued us. Bellini. How great to have a cocktail named after you. Who else can claim that? Rather briskly my wife replied “Tom Collins and Alexander”. Neither of whom, when I checked it out, seemed to exist as a direct link from a person to the beverage. * Just peel and blend your peaches, whip up your peach puree then strain it and refrigerate until cold. 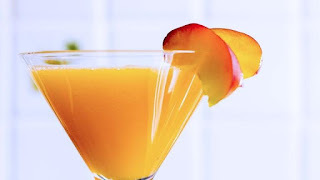 * Mix 2 parts of peach puree with one part of sugar syrup. * Add about 20ml of the peach puree mix to your Champagne flute, then gently pour Prosecco into the glass. “Giovanni - get me another one … subito ”. So who were these Bellini’s? They were the royalty of Venetian art it in 15th century Venice. Jacopo the father ran the biggest painting workshop there. His sons were Gentile and Giovanni. Today it’s the latter that’s considered to have been the biggest creative influence on Venetian painting. Interestingly the family workshop was probably the first in Venice to use oil paint seriously whilst it had been in use in Northern Europe for nearly a century. Mantegna married Giovanni’s sister Nicolosia – smart move. 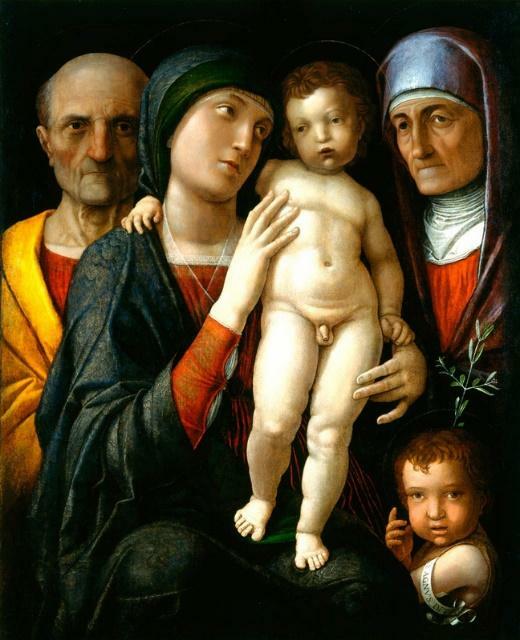 The paintings are fascinating but also have conversations with each other – clearly Bellini and Mantegna got on. The cocktail theme continued in the National Gallery as we went on to see the Impressionist exhibition. Was it because we were tired or because we were intoxicated on Bellinis? 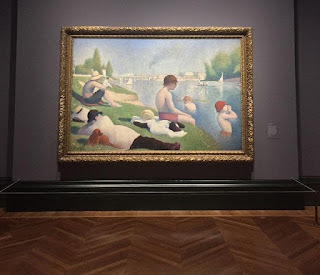 We disliked the obsession with technique, flat colours and the boring scenes – more people sitting in a park or another lily pond. These were not cocktails; they were alcohol free lagers of paintings after the spiritedly colourful religious works of the brothers in law that preceded them. 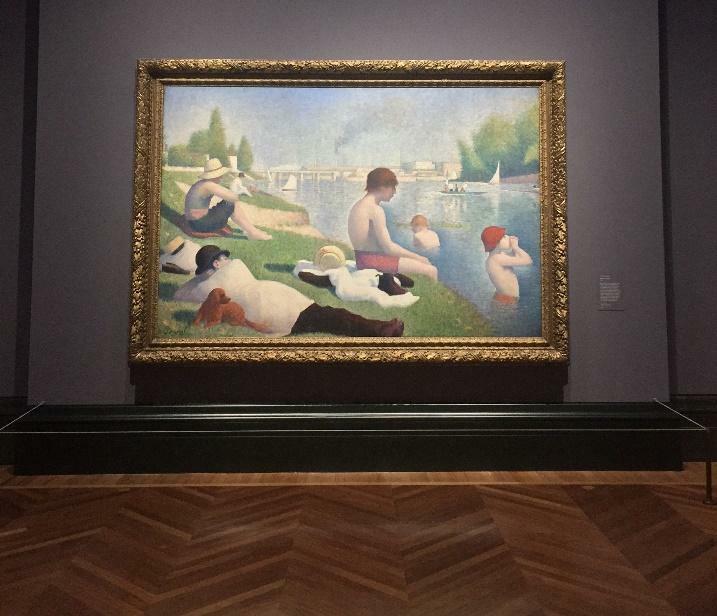 The Impressionists just left us with artistic hangovers. But we are committed to living a cocktail life with lots of variety and flamboyant fun.